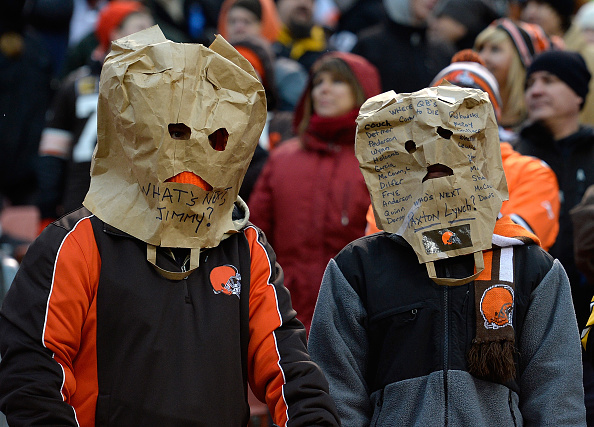 Can the Cleveland Browns Finally Exorcise Their Week 1 Demons? I asked this last year. Well, I’ll be honest, I’ve asked this pretty much every year around this time for a while now. Is this the year the Cleveland Browns actually win in Week 1? Sure, everyone wants their team to come out on top in its season opener. Still, take a look at what was going on the last time the Browns won theirs and you can see why this is a little direr. The starting quarterback was Jeff Garcia. Gmail had just been launched. George W. Bush was running for reelection. The highest grossing movie of the year was Shrek 2. Yes, we have to go way back to 2004 to find the last time Cleveland opened the season 1-0. It’s the team’s lone Week 1 win since it returned in 1999. Everything before and after has been losing. So, are things going to be any different this season? Is this the Browns team which can finally buck the trend and bring home a victory in the opening week? On the surface, it seems like Cleveland has more favorable odds than usual. The opposing Philadelphia Eagles had a lukewarm preseason, and are also starting rookie Carson Wentz at quarterback. Though he was drafted No. 2 overall this past spring, he’s looked raw and had his development paused by broken ribs. The Browns, on the other hand, come into the bout touting a roster loaded with rookies and second-year players, led by QB Robert Griffin III in his attempt to rejuvenate a fledgling pro career. Cleveland’s defense was shoddy at best throughout the preseason, leaving little in terms of inspiration. When you break it all down, it sure seems like the chances are at the very least even for this Sunday. It certainly appears to be a decent opportunity for Cleveland’s Week 1 woes to come to an end. However, this is the Browns we’re talking about. Even with solid odds in the past, they’ve found a way to make Week 1 memorable for all the wrong reasons. 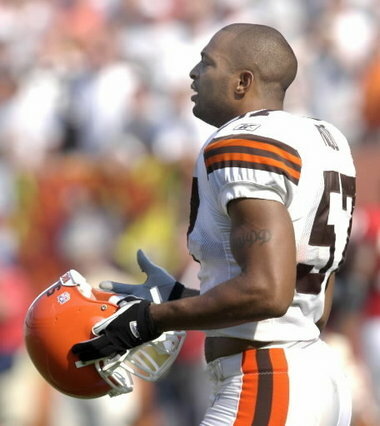 It sure looked like Cleveland was going to beat the Kansas City Chiefs in the 2002 opener, but then Dwayne Rudd decided midway through the final play of the game would be a perfect time to take his helmet off. It sure seemed as though Josh McCown could really run the Browns’ offense in last year’s opener before a suicide dive into the end zone became the perfect encapsulation of how the rest of the season would go. And don’t even get me started on what happens when Cleveland opens the season against the Pittsburgh Steelers. Outside of 2014, the results have been so lopsided I’m nervous about opening the year against the Eagles just because they share the same state. So, no, I really don’t feel safe with any sort of assumption the Browns can pull off a Week 1 win regardless of who they’re playing. Everything we’ve seen with the way this team is being built indicates the rise from the dumpster will be a slow and often rocky one. Despite this, Cleveland certainly appears capable of opening the year with a win. Griffin has looked decent in the preseason, and just because the offensive weapons are young doesn’t mean they aren’t there. Philadelphia doesn’t seemed poised for a big year either, so it’s not as though the Browns are opening up their season against an overwhelmingly superior opponent. Then again, when has that made a difference? A lesser opponent often means Cleveland just has to try harder to find a way to bumble its Week 1 contest. If there’s any benefit to Cleveland’s endless string of Week 1 losses, it’s the team’s growing inability to surprise us. We’ve seen it all, honestly. An idiotic late-game penalty, a 40+ point drubbing, a starting quarterback playing so poorly he’s traded the very next day. Seen it, stomached it, laughed uncontrollably at it (which is really the only way to cope). Quite frankly, the one thing the Browns could really do to surprise us in Week 1 is actually winning. Fans would love it if they were to give such a concept a try this Sunday.